Spanish pronunciation: Vowels and the letter C | ¡En español! One thing most beginners start learning about pronunciation in Spanish is that you basically need to know the sound of the vowels (a, e, i, o, u), the diaeresis in “ü” (as in “bilingüe” – bilingual), and the consonant “ñ” (as in “mañana” – tomorrow). Then besides that, you might learn the rules of accentuation and how that affects your intonation. We will talk about accentuation another time, for now, let is keep it simple. If you can remember these words: father, ten, she, over, tuna, then you know how the vowels in Spanish sound. 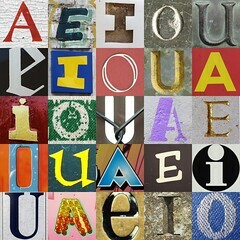 There are no more vowels than these ones: a – e – i – o – u, and they sound like in ‘father’, ‘ten’, ‘she’, ‘over’ and ‘tuna’. Even when there are two or three vowels together, each one will keep their same individual sound. We will mention the few exceptions about this in a later post (“gue”, “gui”). You pronounce with the /k/ sound: casa – como – Cusco; but you will use the /s/ sound in: cerca – circo. However, in Spain, you will hear a different pronunciation for ‘cerca’ and ‘circo’, which can be represented by the phoneme /θ/ (as in ‘thought’). Also, if you have the letter “c” after the consonant “h” (which is always silent), like in ‘chao’, you will get the phoneme /ʧ/ (as in ‘check’), and this applies to every Spanish-speaking country. Mi casa en Cusco está cerca del circo. (My house in Cusco is close to the circus). Hoy nos vamos a comer al chifa. (Today we’re going to eat at the chifa).